Green Building Store has succeeded in adapting the Passivhaus approach to British traditional building methods – by creating the first certified Passivhaus in the UK to use traditional cavity wall construction. The Denby Dale Passivhaus project (www.greenbuildingstore.co.uk/denbydalehouse) in West Yorkshire has today (Friday 30th April 2010) received its official Passivhaus certification. The project – built by Green Building Store’s construction division Green Building Company – has pioneered the combination of low energy Passivhaus methodology with standard British cavity wall construction and building materials. Passivhaus design originated in the 1990s in Germany and there are now over 10,000 certified Passivhaus buildings in the world. Typically, Passivhaus buildings are built using timber-frame construction or block work wall with external render. “We chose cavity wall construction because most British builders are familiar with the technique and materials could be sourced easily from any builders’ merchant. 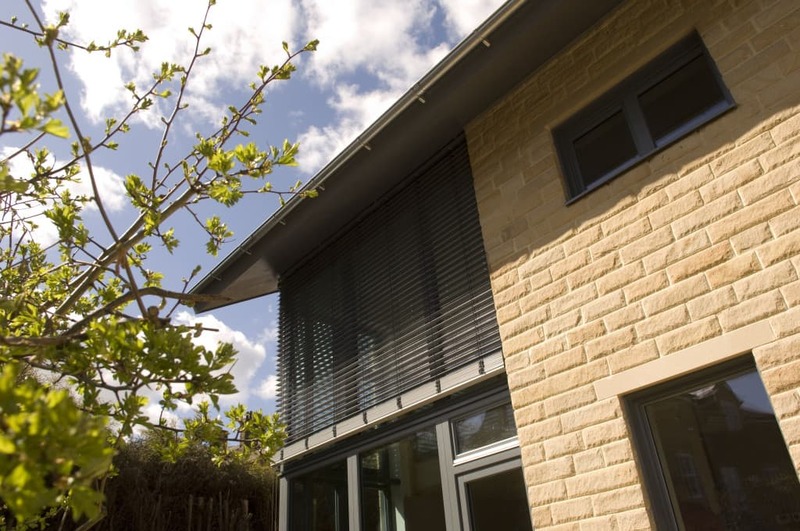 Cavity wall also met Yorkshire planning requirements for stone exteriors and was affordable for our clients. In addition, masonry construction, including cavity wall, offers a ‘cave effect’ which acts as a thermal mass, helping to keep temperatures stable in winter and summer”. Heating costs of around £75 per year. “The Denby Dale Passivhaus proves that it possible to build an ultra low energy house using British building techniques and materials, at a low cost. Good simple robust design, knowledge and care in application are all that are needed to achieve Passivhaus levels. Traditional British construction methods can be used to reach the performance levels that you need for 2050 carbon reduction goals”. As well as using materials from a local builder’s merchant, specialist materials for the project were sourced from Green Building Store’s range of Passivhaus products (including windows, airtightness tapes and membranes, cavity wall ties and MVHR systems) . Green Building Store launched its Passivhaus range early in 2009 to help facilitate the uptake of Passivhaus design in the UK. Average UK dwelling stock uses energy at a rate of 278 kWh/m2/annum (Source: AECB yearbook – the Sustainable Building Guide – 2006/7) and space heating makes up 56% of all domestic energy use. (Source: DECC 2007 figures). Passivhaus houses use around 90% less energy for space heating than the average UK home (15 kWh/m2/annum, as opposed to 155.68 kWh/m2/annum for average dwelling stock). Space heating needs for the Denby Dale Passivhaus are 15 kWh/m2/annum. As the Denby Dale Passivhaus is 118m2, it will use 1770 kWh/annum for space heating. The Denby Dale Passivhaus has been certified by Warm Associates, under supervision of the Passivhaus Institut in Germany. Passivhaus requirements are 0.6 ach @ 50 Pa. For Passivhaus certification (and Euronorm methodology), the volume of all internal partitions, stairs, floor void etc are discounted in the airtightness calculations, resulting in a lower overall internal volume (in this case internal volume calculated as 277 m3).